Free yogurt and more! No coupons needed! Save 100% when you buy ONE (1) 5.3oz. single serve cup of Dannon Oikos® Greek Yogurt. Check back every Friday for a new Freebie! Save 75¢ when you buy any ONE (1) bag of Snyder’s of Hanover® Tortilla Chips. Save 75¢ when you buy any ONE (1) bag of Snyder’s of Hanover® Korn Krunchers. Free Keebler or Cheez-It snack cup with SavingStar app! 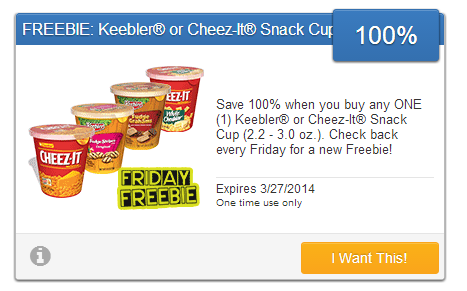 Valid thru 3/27: Save 100% when you buy any ONE (1) Keebler® or Cheez-It® Snack Cup (2.2 – 3.0 oz.). Save 100% when you buy any ONE (1) Keebler® or Cheez-It® Snack Cup (2.2 – 3.0 oz.). Check back every Friday for a new Freebie! Just enter your store loyalty card info and save automatically! Cash back easily… Also, every Friday there’s a 100% cash back item! Check my blog each Friday! Valid thru 3/24: Save 20% on any single purchase of loose Asparagus at participating retailers. See offer info for complete details. Save 20% on any single purchase of loose Asparagus at participating retailers. See offer info for complete details. 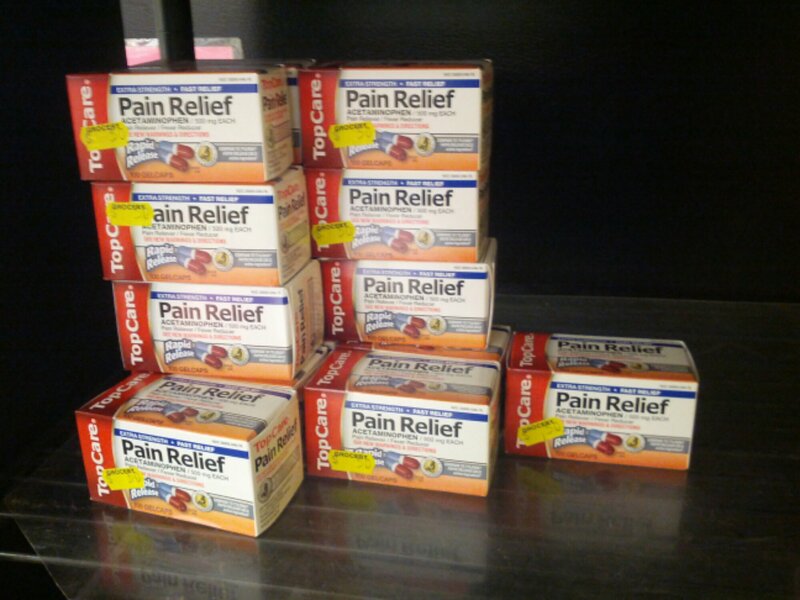 Green Giant Eagle Top Care acetaminophen 50¢! These are no longer available! Save 20% on any single purchase of loose Cabbage at participating retailers. See offer info for complete details. Check back every Tuesday! SavingStar 20% off tomatoes nationwide… No coupon needed! Save 20% on any single purchase of loose Tomatoes at participating retailers. See offer info for complete details. Check back every Tuesday!